Make a statement with these fun bohemian style hoop earrings, made with tooled leather, and antiqued to a deep rich brown color. Earrings are finished with silver floral posts embedded with faux turquoise stones. The bracelet is simple yet unique. 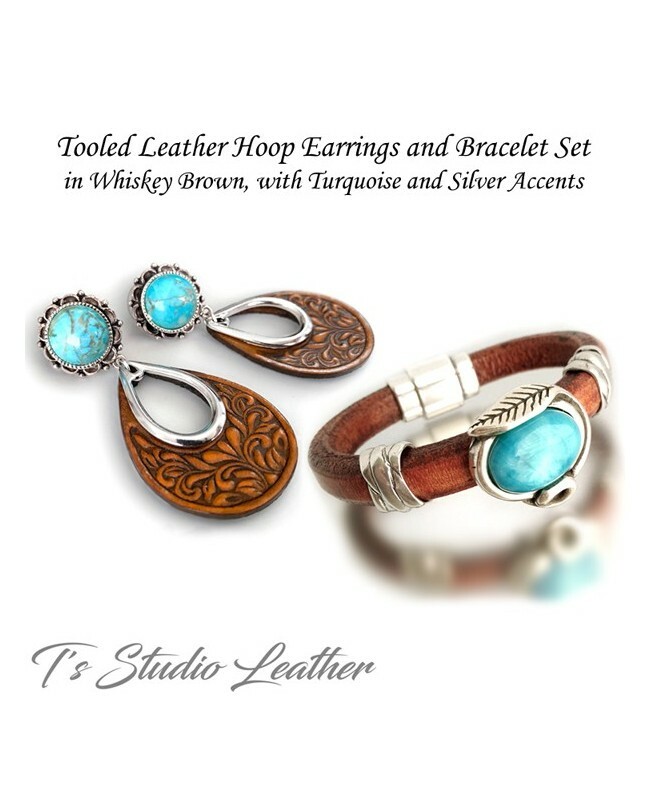 Features rich whiskey brown leather, with a beautiful silver and turquoise focal slider as the centerpiece, and adorned with silver leaf sliders on each side. Leather and gemstones are available in a variety of colors. I gladly accept custom orders, if you would like a different color combination, please contact me. Earrings measure 1.25"W x 2.5"H.